Businesses that have opened a new merchant account for their retail website may soon benefit from a recent Federal Reserve Board ruling that will affect the transaction fees they pay to debit card issuers. On June 29, the Fed announced it reached a final ruling on the Debit Card Interchange Fees and Routing regulation, an issue mandated under last year's sweeping Dodd-Frank financial reform act. Per its rulemaking, the Fed capped the interchange fees merchants would pay to debit card issuers at 21 cents plus 0.05 percent of the sale total. Prior to the decision, card issuers could charge merchants as much as 15 cents plus 1.6 percent of the transaction. 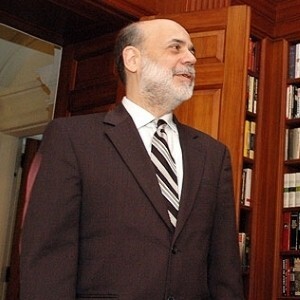 In a release, Fed chairman Ben Bernanke said the board would closely monitor how the rule affects merchants, financial institutions and other stakeholders. The Fed's new rule goes into effect October 1, meaning e-commerce merchants have about a month to discuss the changes with their merchant account manager and consider a new marketing approach. Since debit card transactions will likely become cheaper for businesses to process, some experts believe merchants will begin to encourage customers pay for items online with their debit card rather than their credit card. However, merchants themselves appear uncomfortable influencing consumer payment behavior. The website Internet Retailer surveyed 112 merchants – the majority of which were online retailers – on the new regulation. The report found that 39.6 percent of respondents were not even aware that debit payments would become more affordable in the weeks ahead. Additionally, 43.2 percent said they won't make a concerted effort to push customers toward debit payments, while 17.1 percent said they do plan to encourage consumers take the option that's more affordable for the merchant. Whether or not they look to actively encourage debit card payments, e-commerce ventures will likely welcome any opportunity to lower processing expenses, particularly as debit transaction volume continues to grow. The Fed reports debit card use has grown by double-digit percentages in recent years, and estimates its volume to exceed 50 billion transactions this year.